​marketing, Reels, web ads, photography, VIDEO PRODUCTION, VIDEO ADS, LOGOS, SEO, Content management, ARTWORK, Music services and much more! We are a branding and promotional agency who will help you rise to the epitome and paramount of success! This is also your 'online Music artist nucleus' where talented Artists can be discovered and promoted. 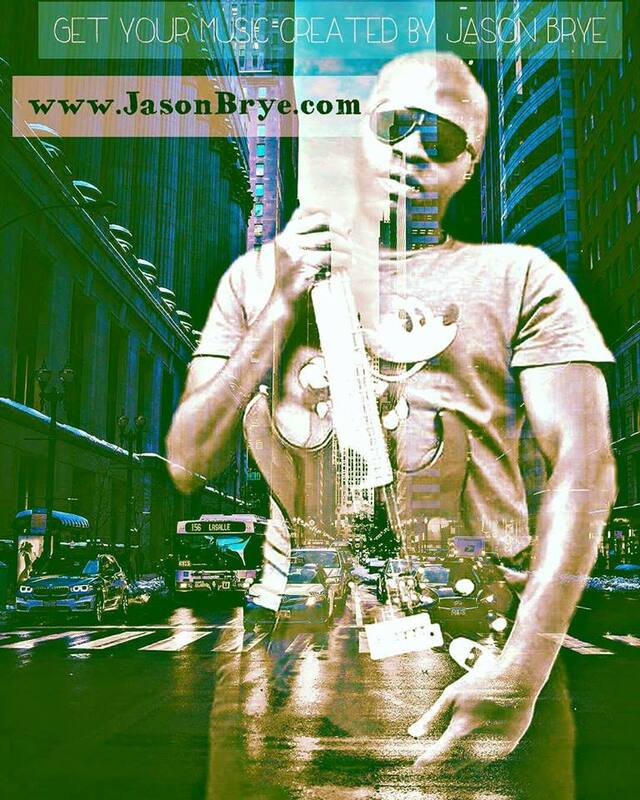 Music Artists, please submit a query to jasonbrye.com@gmail.com! Now Go ahead and search the jasonbrye.com online hub to learn about impeccable opportunities! INQUIRE ABOUT OUR VIRTUAL STUDIO! YOU CAN SEND US AUDIO SAMPLES AND WE CAN PRODUCE YOUR ALBUM OR SONGS FROM ANYWHERE IN THE WORLD! WE'LL GIVE YOU STEP BY STEP MUSIC ENGINEERING AND COMPLETE MIXING AND MASTERING SERVICES! WE HAVE SPECIALS! We also help producers and songwriters with advertising. CONTACT JASONBRYE.COM CONSULTANTS TODAY! DISCIPLEFORCHRIST.ORG AND JASONBRYE.COM ADMINISTRATOR JASON BRYE IS WORKING ON RELEASE INFORMATION DETAILS FOR A NEW GOOGLE PLAY ACCESSIBLE DOWNLOAD CAPABLE APP FOR THE JASONBRYEDOTCOM AND DISCIPLEFORCHRIST.ORG WEBSITES! PLEASE CHECK BACK FOR NEW UPDATES!​ THANK YOU! The old 'JASONBRYEDOTCOM APP' is available for download on some devices and it's through Google Play! Keep up with us every step of your day by downloading the APP now! Click the Google Play Badge below to download the APP for free! Jason Brye has worked on the featured productions or worked with the featured organizations/schools below. 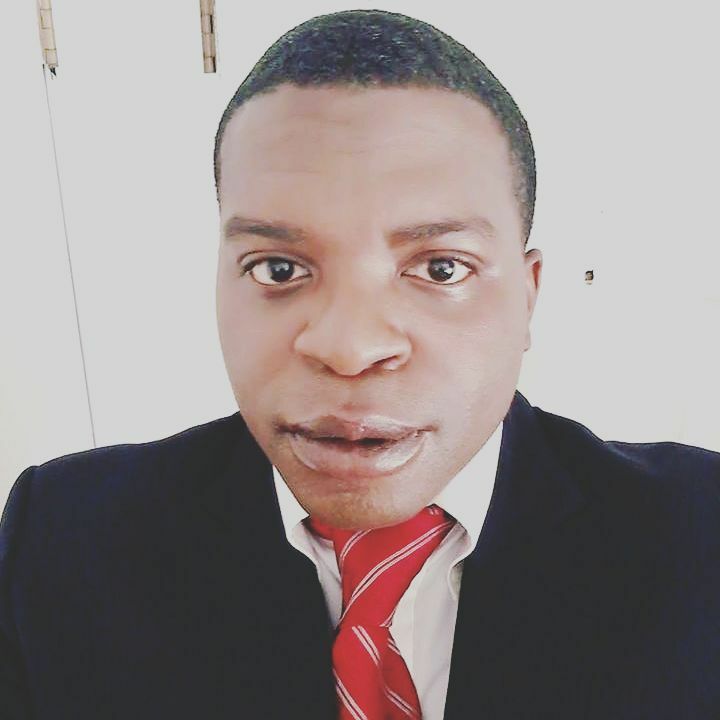 Jason has been a Featured Background Actor, Speaking Actor, Award Nominee, Award Winner, Production Assistant, Assistant Director and Director regarding various productions filmed in Los Angeles, San Francisco, Atlanta, Louisiana and Alabama. Jason Brye, Creator of JasonBrye.com, was featured on TV singing and dancing as a child. Random Film Crew and Producers would pay for Jason to appear during certain commercial slots. Jason became famous in the Southeast as a result. And then it spread. Jason still dances. Please surf his wondrous site here to see Jason dance and to learn about 'Business Services' offered by the Dancing 'Business Owner' and Entertainer. Thank you! Jason Brye was named 'The Flavorful Economist' in some National Newspapers when he attended Georgia State University as an Economics Student. 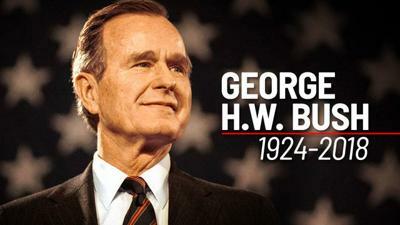 He helped George H Bush and other renowned leaders work on a detailed Economic Plan which saved the economy worldwide. Many say some tried to sabotage the economy to make Bush and Jason Brye - the Flavorful Economist - look bad. 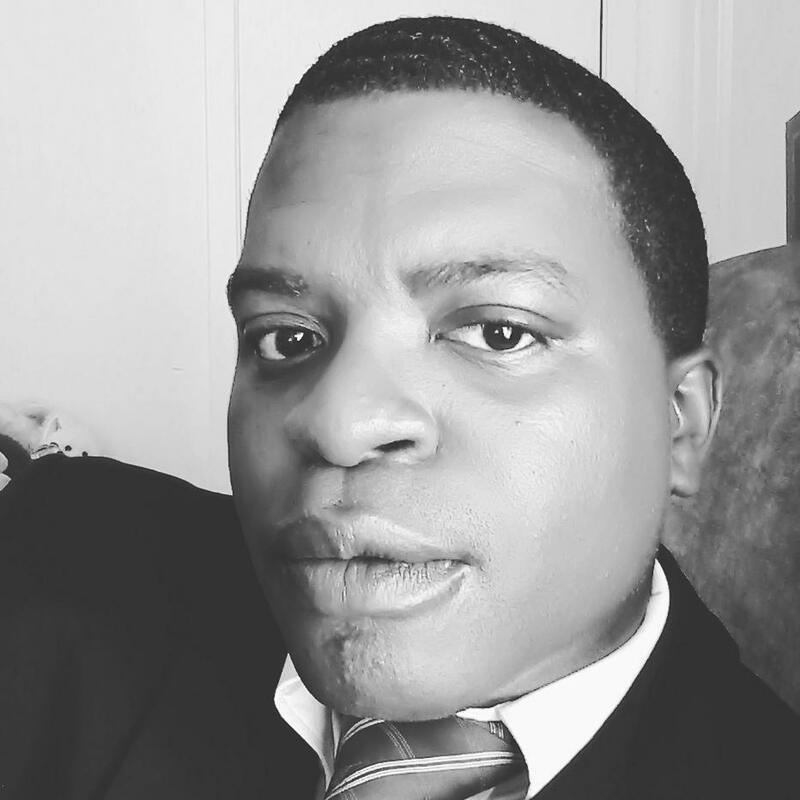 Jason was called the 'The Flavorful Economist' because he is a Member of the Alpha Phi Alpha Fraternity Inc. Jason was then upgraded to being called the 'The Preppy Economist' cause he liked wearing Gap Clothing, Banana Republic and Brooks Brothers. The term 'Fashionista' originated, sort of like the way the term 'posh' came into play. Jason is said to have created both terms. Jason Brye used to sing in the choir with Whitney Houston as he campaigned with George H. Bush. George H. Bush sang some too. Jason also sang with Gerald Levert a few times during rehearsal. Jason Brye produces music for any genre. Please also purchase his Pop-R&B Singles. He also has Christian Music for sale. Jason is also toying with some Rock Music for 2019. 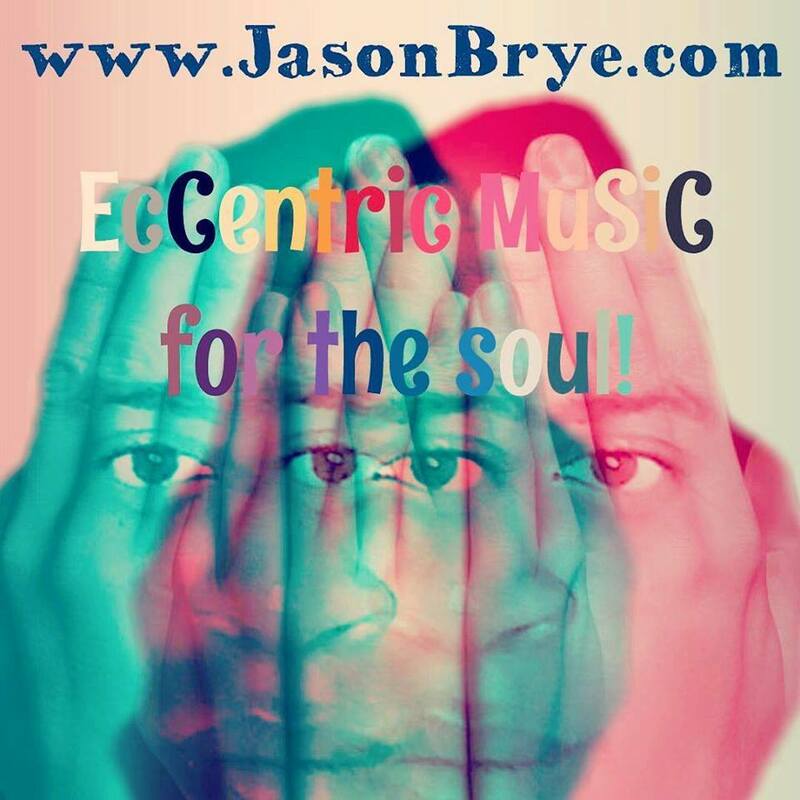 Please stay logged on to JasonBrye.com to stay up to date to new music by Jason Brye. For Pay Pal purchases of already produced Jason Brye Singles, please email a query to: JasonBrye@Hotmail.com. Thank you! 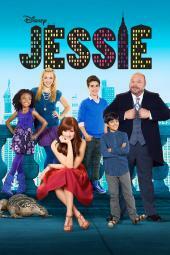 Jason Brye directed two episodes of 'Jessie' and appeared in the show a few times. 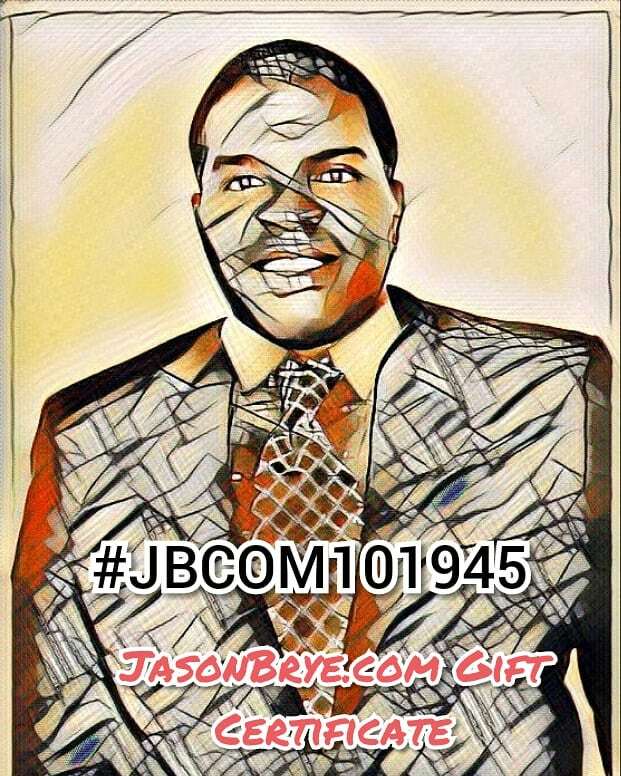 Jason has accumulated years of great experience to be a prominent Business Consultant and owner of the JasonBrye.com Branding and Promotions Firm. Jason also heads Catch Gigs Photo and Video. Need Graphic Design? Music Production for any genre? Advertising with results through SEO and other analytical tools? Need Social Media Marketing which works? Well, JasonBrye.com is here to do the job for ya. Check out an example of what Jason Brye and Contractors can do below! Search our site for more tools for success. Don't worry, we're 'King and Queen' of affordable rates. Email us now for special offers: JasonBrye.com@Gmail.com! We aren't just a music company, we're a company for everyone. 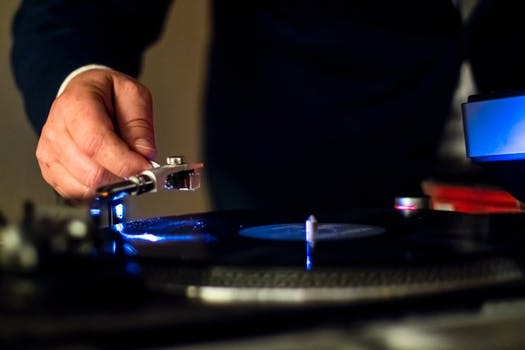 Search our site and see not only Business Specials, Games, Blogs, Music News, Videos, Entertainment and so much more.... Test your skills with Jason's Music Trivia Link! Thank you so much. Entertainer Jason Brye is in pre-production for a new online music show which allows artists from any genre to show their music skills. This will also include beat makers and instrumentalists. Those who play violins or other instruments are welcome to submit also. 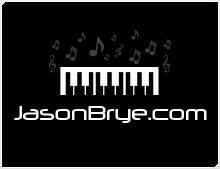 For submission instructions, please visit the 'JasonBrye.com Musician's Corner' Link on this site! This year, Jason also produced a new Online Christian Show called 'Jesus and Me.' Please click the button below to be taken to the link for the 8 episode web series. 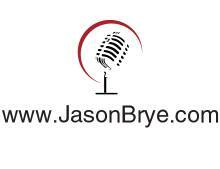 Keep checking back for new shows and episodes from Jason Brye. For 'Jesus And Me,' you may also visit: www.DiscipleforCHRIST.org! There is a tab here on the site for Music Concert Alerts and Music News! Music Artists and Business Professionals may advertise at the link as well. Please visit the link now by clicking the 'Music News and Concerts' button below! We're staying alive! Purchase a service today, read a blog or just listen to some of Jason's music or music by other artists. Press play below the pictures, please! It's the 'Triple Threat of Sites' Video. Thanks. Do you like music? Well JasonBrye.com owner, Jason, produces music. Please visit the 'Beats for Sale' and 'New Music by Jason Brye' links on our site. George H. Bush was Jason Brye's Film Agent and Mentor for several years. Before he passed away. He commented and said 'looking good brother, this is my favorite pic of you out of all these years.' He was mentioning the pic above. Jason placed it there as a symbol of love. Jason enjoyed his times with Agent Bush who helped Jason get many commercials and more. Rest In Peace George H. Bush. Jason has mourned, but he's able to keep the legacy going. George H Bush once said to Jason 'don't ever leave Jesus for the Business World. You can have a Christian-Run Business that's open to anyone of any background. But don't put God down for the world.' Jason took heed to sound advice. Jason sings Christian Music too. He sang a few times with George H. Bush in the car and at churches. Rest in Heaven, George H Bush. Thank God for angels. 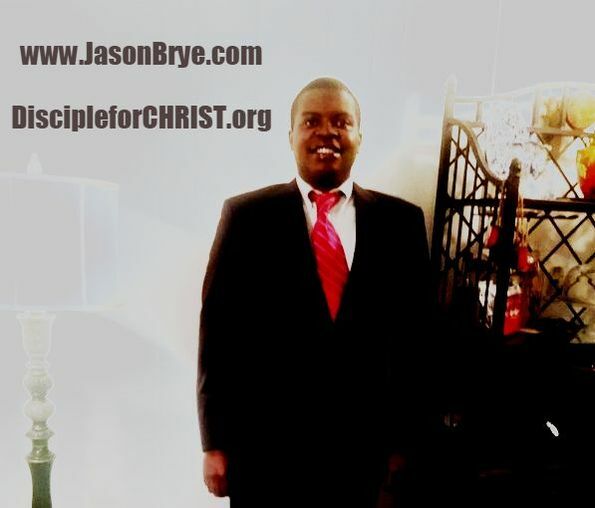 Jason sings Gospel and he runs his Branding and Promotions Firm JasonBrye.com. 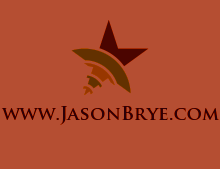 Please enjoy Jason Brye's Multimedia Site here. There are games, polls, music news of any genre, blogs, pictures, videos, exercise tips and more to come. Thanks for coming! 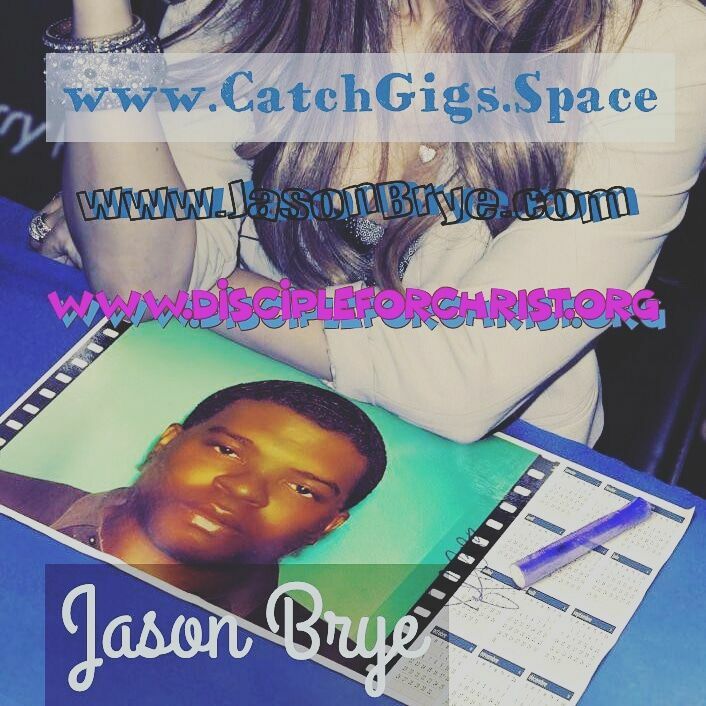 Jason Brye also heads 'DiscipleforCHRIST.org' which is his Christian Non-Profit. 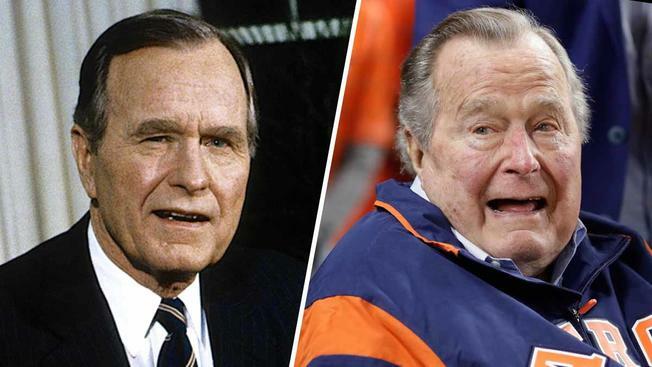 George H Bush said he'd love to see 'DiscipleforCHRIST.org' up and running before he died. Jason would prophesy 'DiscipleforCHRIST.org' in churches with Bush as a child. And the vision came to pass. Jason is building from scratch. So Jason heard Bush's desire to see him start a Christian Foundation. And Jason went to work for God first and then George H. Bush, his longtime friend since childhood. Jason was the youngest nominated presidential nominee in American History. Jason also acted as president as a child when George H was ill. Jason campaigned and taught Christian Principles mainly in the Southeast with George H. This experience has helped Jason Brye today. Please visit his Christian Non-Profit Site: www.DiscipleforCHRIST.org. Jason designs artwork like the one below. 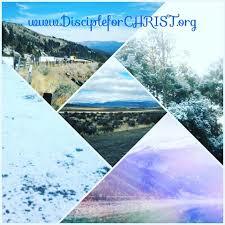 Moreover, see advertising space opportunities at his DiscipleforCHRIST.org Site. Get seen by clients and consumers. Call or text for advertising: 504-323-4123. Please watch Jason Brye's Promo Video below which is in regards to his 'Triple Threat of Sites.' 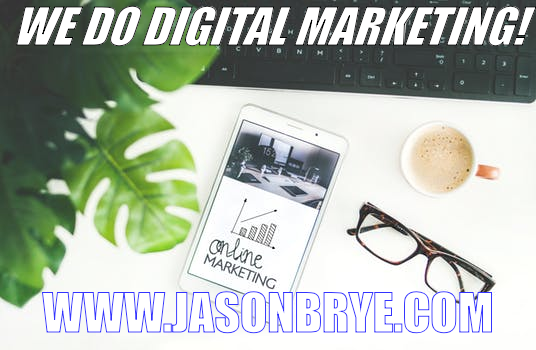 Allow Jason Brye to consult with you as it pertains to a Marketing Plan which is tailored to render an abundance of prosperity for you and your Business. Or maybe you have an album? Or film that you'd like to promote? Emmy Award Winner Jason Brye can help. Let's work together. Call today! 504-323-4123. BUY WITH JASON BRYE. MEET SUCCESS. WE HAVE AN ADVERTISING PAGE SPECIFICALLY SET UP FOR CLIENTS. CHECK OUT EVERY LINK ON OUR SITE. ENJOY! Howdy! 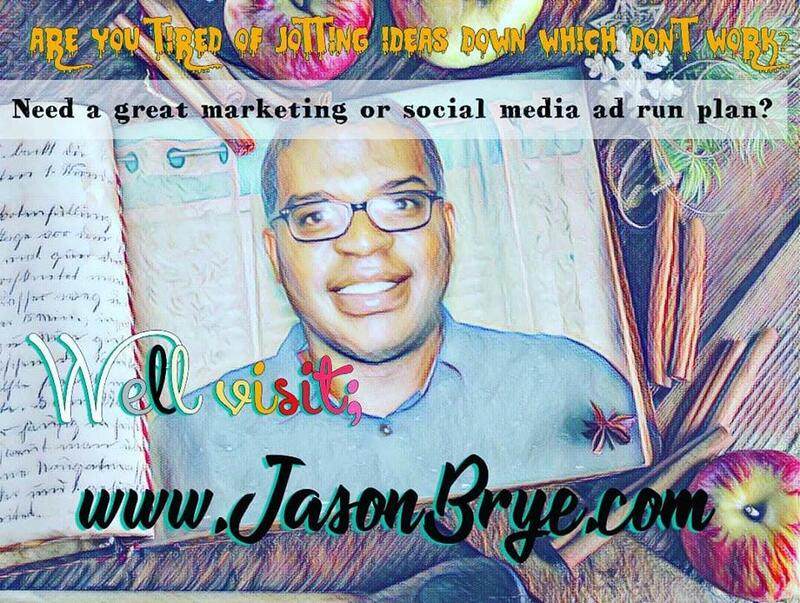 I am Jason Brye and I am a Creative Professional who also assists other Artists with various services for success as it pertains to their respective endeavors and aspirations. Please surf my creative site to learn how I and JasonBrye.com Associates can be of beneficial assistance to you. Aren't you ready to be a shining beacon in your talented fields? Please learn more about my services, by visiting each link on the JasonBrye.com Website! Have a blessed and 'success-filled' day! 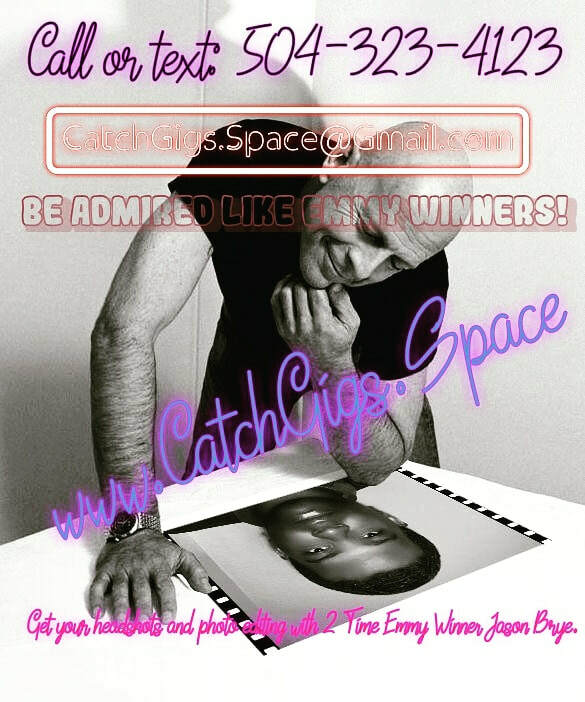 And for more Artist resources, please don't forget to visit: www.CatchGigs.Space! Jason Brye is a Happy 2004 Graduate of Georgia State University where he studied Economics. Jason has worked with George H Bush, other Conservatives and Business Owners in Atlanta. C'est moi, Jason Brye! I am here for all of your Business Services needs. Need music production from anywhere in the world? 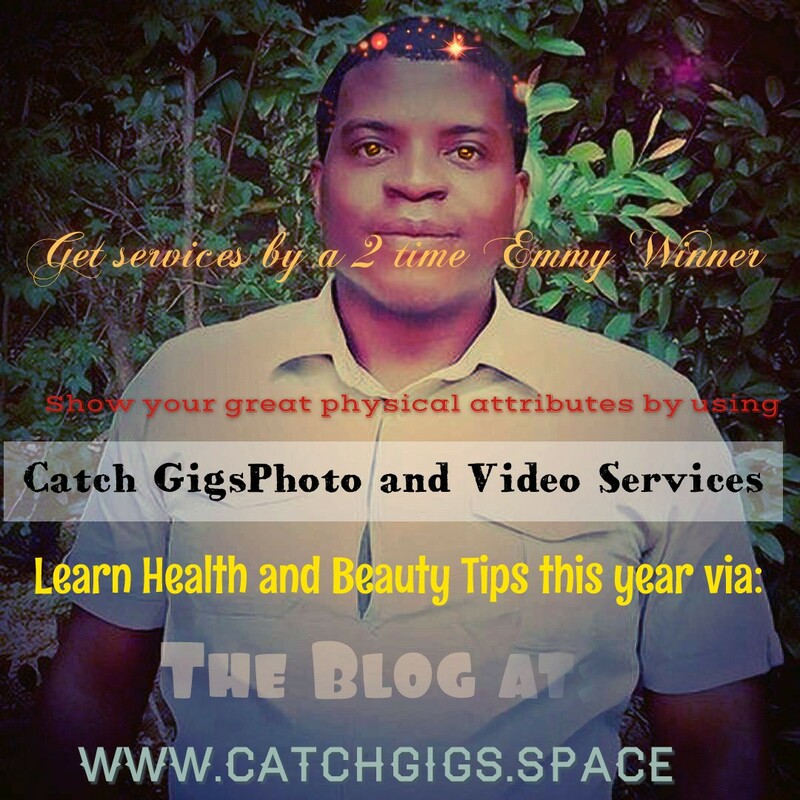 Need Advertising to reach your respective clients and customers? Need professional Facebook Ads Management? Then contact me today at: JasonBrye.com@Gmail.com! 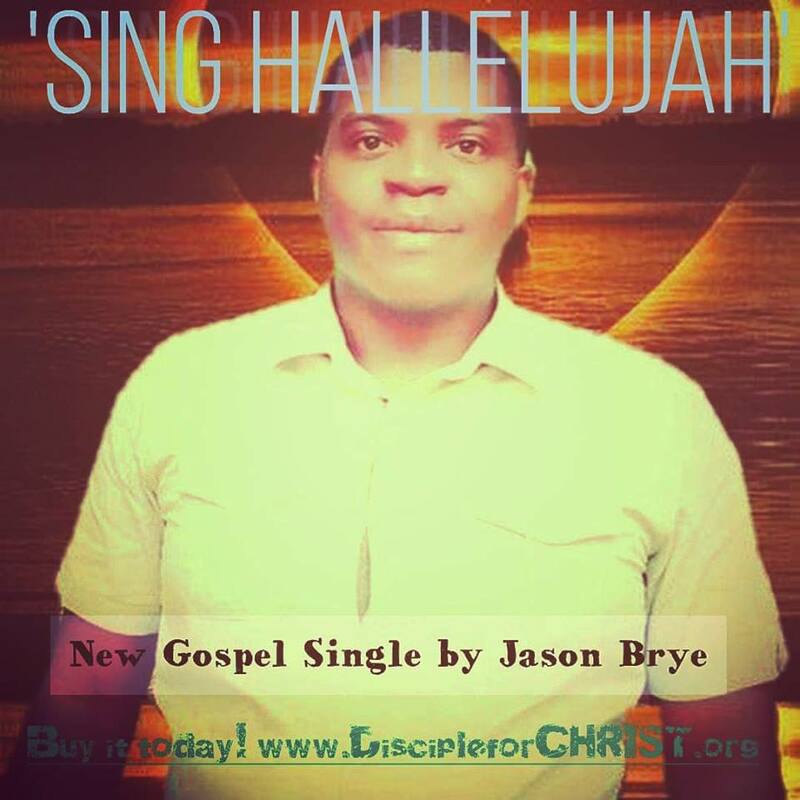 Jason Brye is a Christian and Love Ballad Singer who produces music and entertainment for the world. He also owns this promotion firm and is focusing on helping others with marketing and more. Please review this site and check out Jason's Original, Experimental Video Clips below. The first video clip was produced this year in 2019. Please keep checking back for more videos from Jason Brye! Let's chat now as it pertains to reasonably-priced instrumental scores for film, albums of any genre and music sounds for any kind of videos or projects. Let us tailor to your personalized needs. It's time for you to meet success. Don't you agree? We cater to Gospel Artists and we produce instrumental sounds for clients who are looking for non-Christian material. We don't discriminate. Email us now for low prices via: JasonBrye.com@Gmail.com! We also do logo designs for any type of company or artist! Call today: 504-323-4123. Jason Brye is here to assist you. Check out our tabs to see Advertising Deals. Let us help with Social Media Ads and more. Jason Brye can render fanta-bulous results. It's good. Let's work together. And please watch Jason's Video below! You can get a 'feel' for some types of music that Jason produces so that you may benefit. 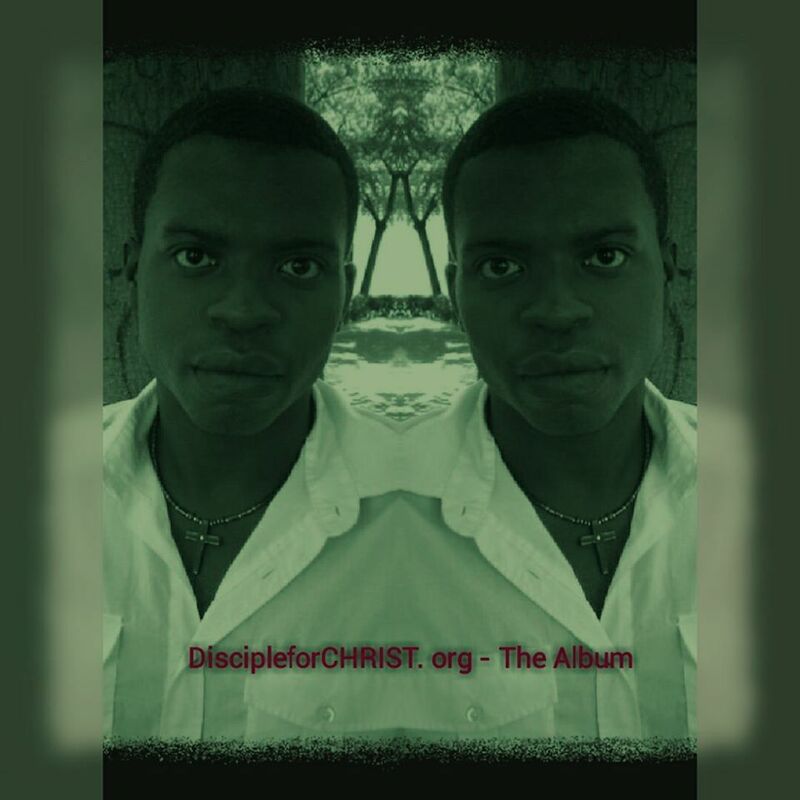 The song is an original by Jason Brye and it's his Christian Hip Hop Song "In Jesus' Name.'' It also has some jazzy, tuneful undertones. Please listen. JasonBrye.com is your advertising King and Queen. Check the 'Advertising Page' on this site for current daily specials. Let's get you promoted! Don't miss out on success! It's here right now! Our team is dedicated to providing clients with a necessary online outlet to promote all of their projects, portfolios, endeavors and ventures. Contact us today! 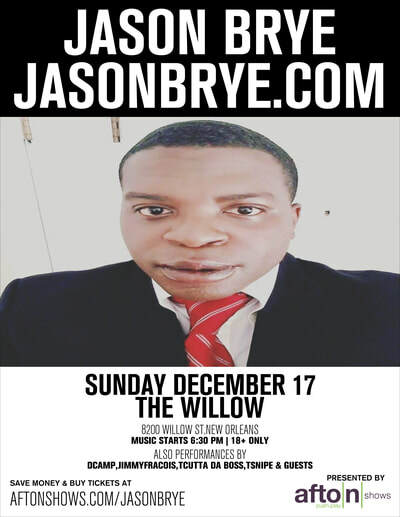 JasonBrye.com@Gmail.com Or call: (504)323-4123! We also produce music of various genres and can render you great results to clients from anywhere in the world. Check out our instrumental samples below. Contact us to purchase great music sounds for your films, albums, songs and commercials! Also check out our promo video to learn about advertising deals that we offer! 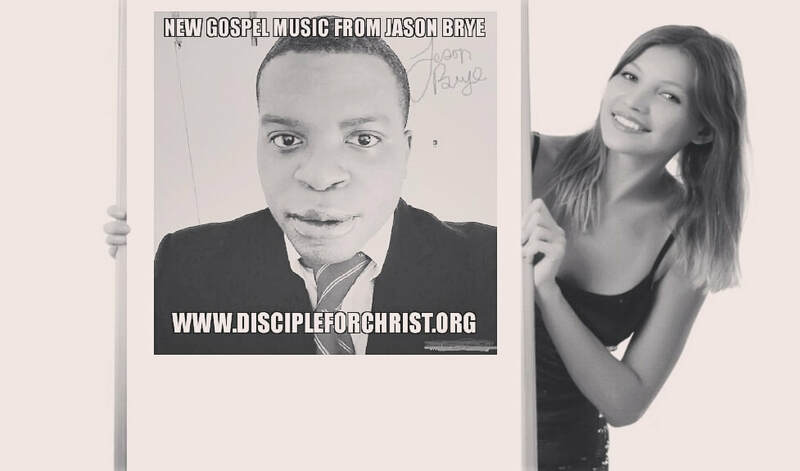 Jason Brye released 'DiscipleforCHRIST.org - The Album' and you may hear singles for his music on You Tube, on this site or at Jason's Non-Profit Site: www.DiscipleforCHRIST.org. To donate to Jason's Christian Foundation using Pay Pal, please submit payment to: JasonBrye@Hotmail.com! Music from Jason's second album has been heard in countries around the world and of course in America. Please purchase the full Gospel Album by clicking the CD Baby link below. Jason has also produced 2 Christmas Jams which are available for purchase now. Please visit the 'New Music Tab' here to learn about new music from Jason. 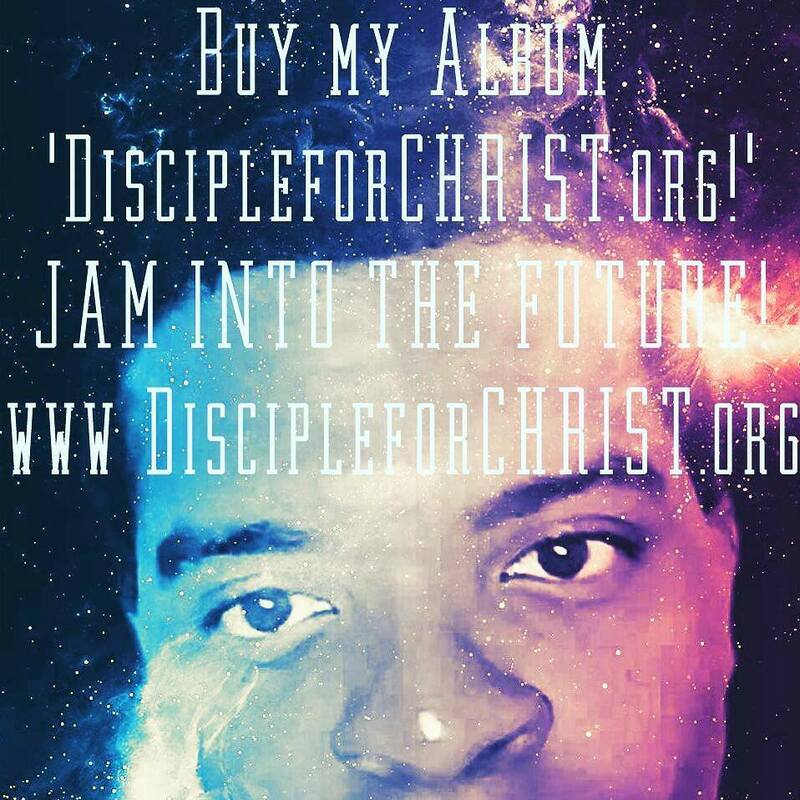 Purchasing details for his new music are also available at his website's www.DiscipleforCHRIST.org Store! 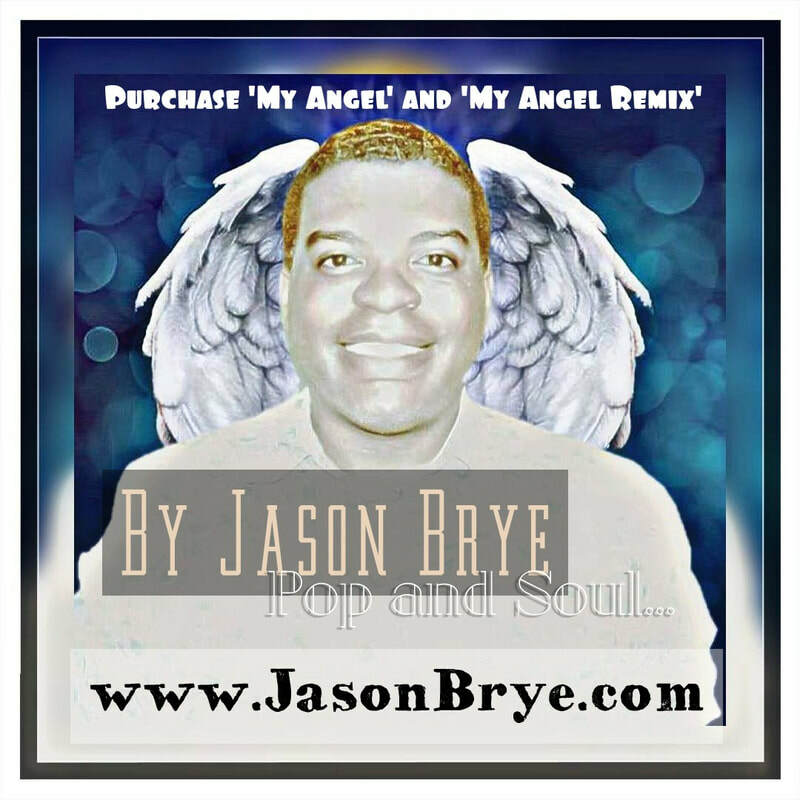 Once again, please visit the CD Baby Link below to purchase Jason's Music. Please SUPPORT! SUPPORT! SUPPORT! Treat yourself to a musical gift which is a masterpiece. Jam with Jason! Purchase singles or his album today. New singles from Jason will be coming for years to come if the world still revolves. Hop on early!!! Jason added more notes to his 'About Jason' link on this site. He also plugged in a 'Quick Facts About Jason' page. Please explore. Check out new pictures, new games for 2019 and please check out new designs on the site. And Jason added some polls which are sporadically placed on various pages. Answer questions today. 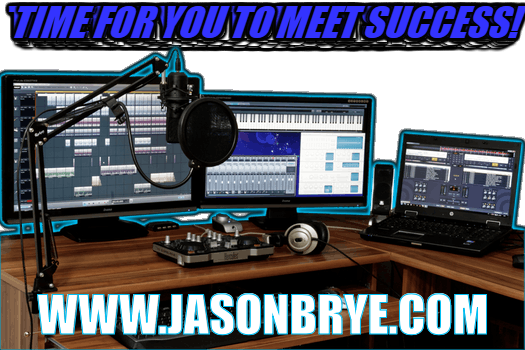 Interact with JasonBrye.com and be a part of 'success.' Thanks! 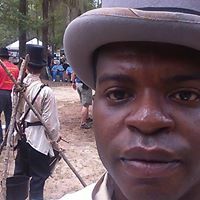 Jason Brye's role as a slave in 'Alarm At Fort Mims' has been noticed. 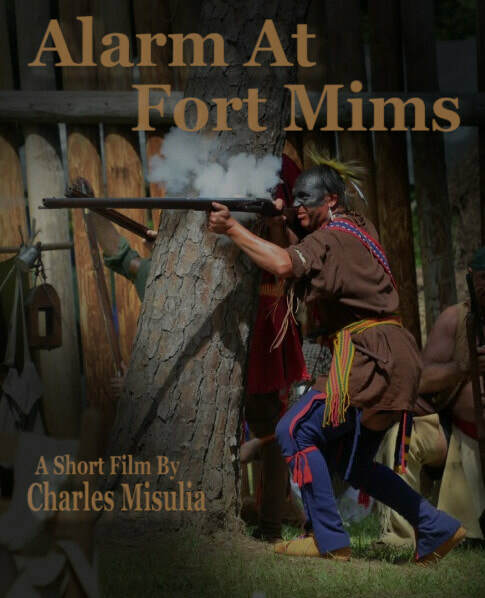 The Charles Misulia-produced short recently aired at a red carpet film premiere in Atlanta. Jason is organizing his own short regarding the fort, slaves, Indians and Christians. Stay tuned. Jason is working on more Gospel Singles, Pop Songs, Rock Songs and R&B with Funk too. Please keep checking this page for more information. Stay connected for Season 2 of the 'JasonBrye.com Comedy Special!' Jason's New Single 'Sing Hallelujah' is available for purchase for $1.00. Please text or call for purchasing instructions: 504-323-4123. Or email: JasonBrye.com@Gmail.com. We take Pay Pal or major cards. Talk to Jason personally. 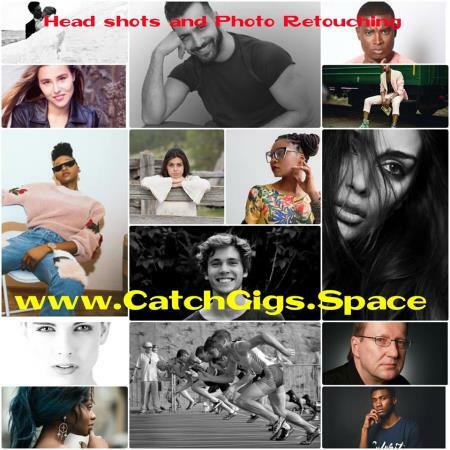 Stay logged on and keep yourselves posted by connecting with Jason through his 'CatchGigs Photography and Gig Finder' Facebook page below! ​Please add the CatchGigs.Space FB profile to your repertoire of FB friends! 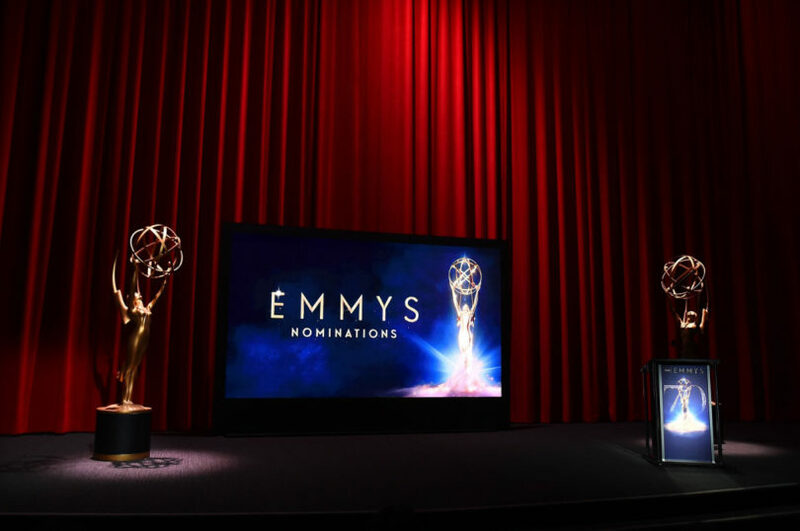 And please 'like' 2 time Emmy Award Winner Jason Brye's Director Page on Facebook! Jason produced a new Gospel Web Show called 'Jesus And Me.' Please visit www.DiscipleforCHRIST.org to watch all 8 episodes of the web show. 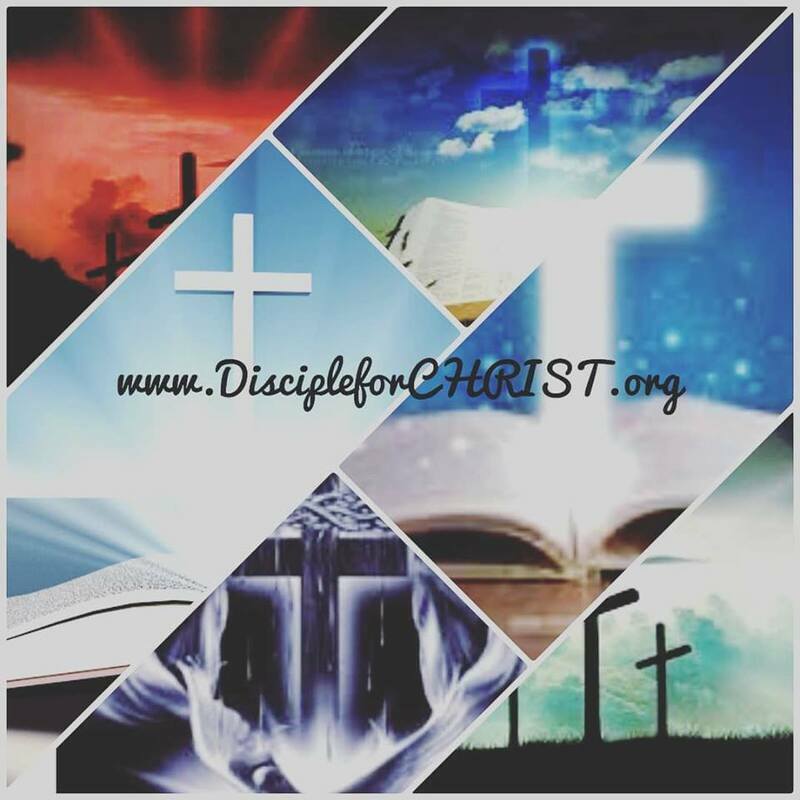 Download the New 'DiscipleforCHRIST.org App' today. It was created by Jason Brye. Have fun with it. Tell your friends. Thanks so much. Download for Android or OS devices. Or to download you may click the blue button below the message. Thanks so much! Check out one of Jason Brye's Original Shows or catch a 'Bones' or 'NCIS: LA' rerun on TV. Check out a scene from one of the movies Jason appeared in. Keep watching! Jason has continued working on projects with Leapforce/Appen. He is delighted to help with various branding, advertising and other Business endeavors. Please contact Jason concerning your 'outsourced, remote' work projects. Jason has the equipment and tools to help you succeed. 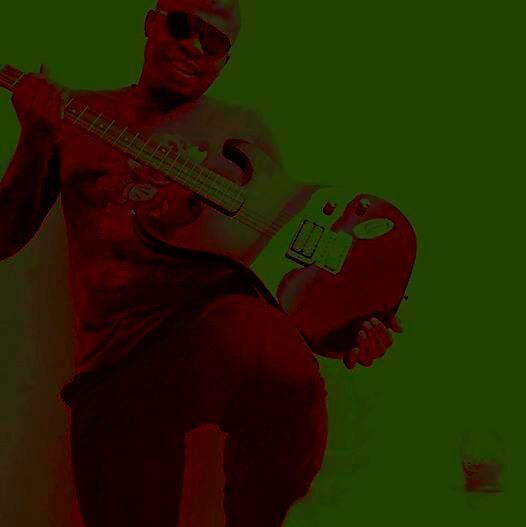 Also for this Spring and Summer 2019, Jason created another 'Music Promo Video' for his original Christian and Pop/Soul/Rock Jams. Some have R&B. They are New World Mixes. Jason is a versatile Music Artist. Jason's promos have generated tens of thousands of views on Facebook. 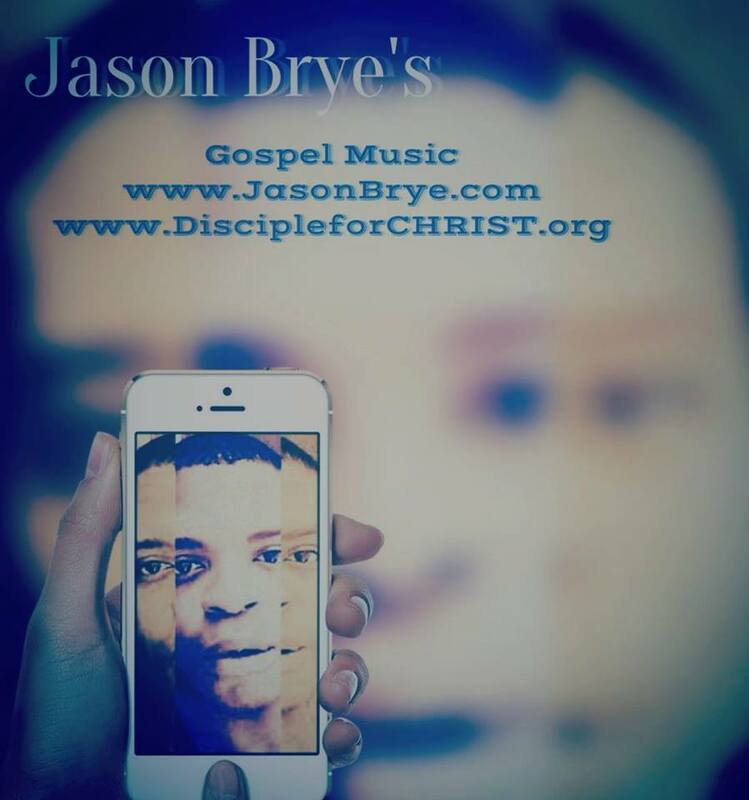 Please hear the promo for Jason Brye's 'DiscipleforCHRIST.org - Album.' Jason's promos have been popular. Please hear the sounds. Get a feel for Jason's Musical Production Skills. They are original tuneful and melodious creations. Press play for the videos above and below. Please purchase Jason's Gospel Jam 'Sing Hallelujah.' Jason also sings Rock, Funk, R&B and Pop. For booking inquiries, send us a note or email: JasonBrye.com@Gmail.com. Justin Bieber rehearsed a little with Jason Brye before the 2016 Grammy's and he helped Jason Brye get a spot on the stage that year to sing in the choir. Jason had a great time. So Jason has produced music, please support him in his music endeavors. Keep coming back year after year to hear great Christian Music, Rock, Funk, Pop, R&B and Opera/Classical. Thank you so much. Have your next album produced by Jason Brye. Let him work virtually. He'll create all of your music scores. Visit all of our tabs to see music score special offers, to read Jason Brye's Blog about indie music artists, to see Branding deals which are inclusive of Marketing and Logo Design; and check back to stay current concerning the latest Music News. 'Sing Hallelujah' is a Christian Pop/Jazz Ballad to Jesus. Anyone can enjoy the tune. 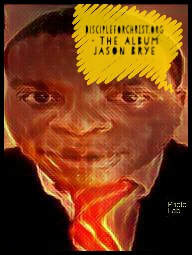 Please purchase Jason's Brye's singles or album. To purchase 'Sing Hallelujah' using Pay Pal, please email: JasonBrye@Hotmail.com. It is only $1.00. 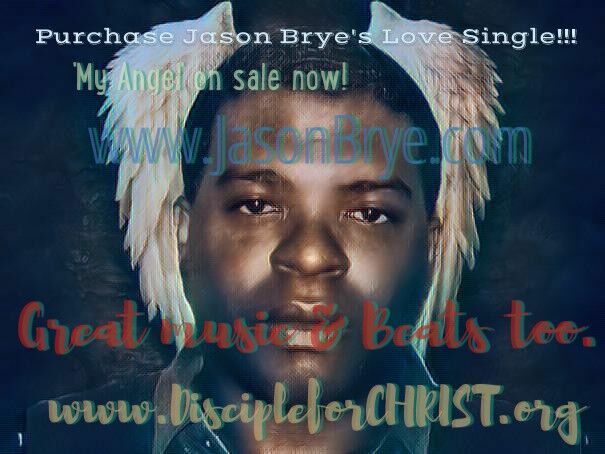 ​Please purchase new singles this 2019 by Jason Brye. For Pay Pal purchases for $1.00 for each song single, email: JasonBrye@Hotmail.com. A download link will be emailed to you. SUPPORT! SUPPORT! 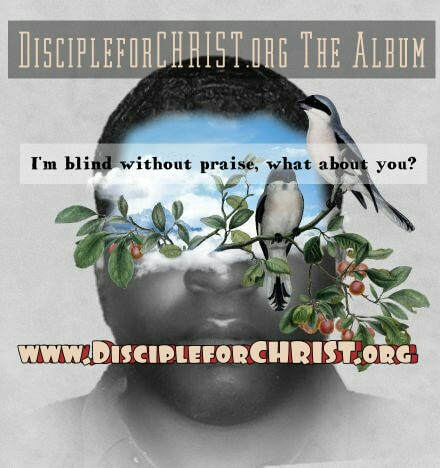 SUPPORT CHRISTIAN ARTISTS! 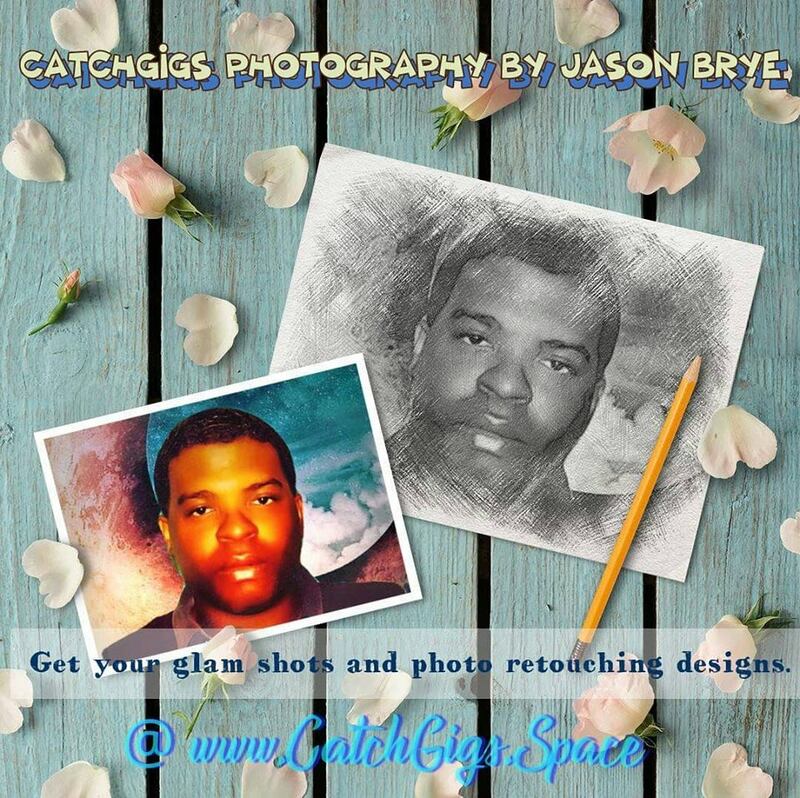 Click the Pic below to be taken to Jason's CatchGigs Gallery and Contact Page Link! O you may click the link above. Get into Jason Brye's Facebook posts please. 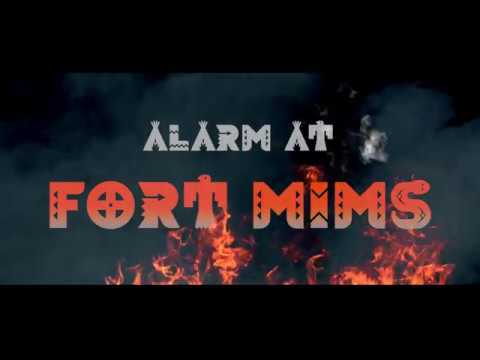 Please watch Jason Brye in the 'Alarm At Fort Mims' Trailer above. Post Emmy's, Jason Brye would love to get an Oscar 'again???' Some Oscars are private. The names of some Nobel Peace Prize recipients are held private. Jason Brye was in a witness protection program for working with Presidents George H. Bush and Jimmy Carter. He also interned at the White House while George W. Bush was in office. Jason helped counsel Americans post - 9/11. Jason's privacy was important and was held secretive cause of his 'clout' with some American Presidents. Jason also helped with a few stings in LA and in the deep south. Jason Brye's upcoming performances are listed below! Please watch Jason perform in person! Catch a great show! Keep checking here for show dates! Please subscribe to stay current in regards to Jason's Tour and Performance Information. Check out Jason in this artistic video below which is in regards to social injustice and police brutality. Also, please visit DiscipleforCHRIST.org to learn about Jason's own Social Injustice Initiative. In the video below, Jason performs as a Principal Actor. The Bureau of Change Project has reached many across the world. It is a part of social missions created by the renowned organization. Visit their site: www.BureauofChange.org. Amazing Grace featuring President Barack Obama from BUREAU of CHANGE on Vimeo. We can produce Gospel, Classical, Blues, Heavy Metal Instrumentals, Rock, Rap, R & B, Trap and more. We'll do film scores or music for corporate videos. We have competitive prices. Call JasonBrye.com today: 504-323-4123. Don't be stereotypical or in a box. Jason worked with University of Chicago Economics Professors and George H. Bush on Economic Planning. This was when he was a college student at Georgia State in which he also took classes at Georgia Tech interchangeably as well. So Jason knows that being a Dancing Artist is swell, but also that intellectually - challenging genius work such as Economic planning is a masterful experience 'treasure' to possess in one's 'ingenuity repertoire,' as well. Jason loves that he was able to get an Emmy for creative credits, reformation work, Christian duties and also that he got Business honors too as a college kid. Be exuberant and more! An Economist usually knows that a wise person 'diversifies their own portfolio' too while pondering 'Economic Escape' plans during Macroeconomics 'fascinations.' 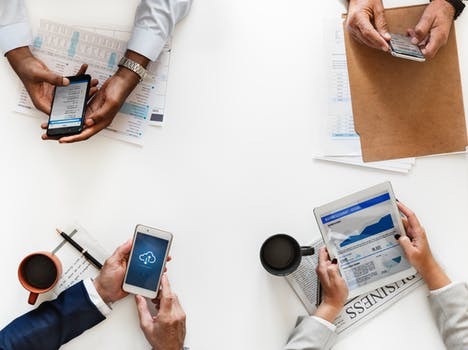 And the Economist, as Jason Brye, desires to help allocate respective great thoughts to fit into complete puzzle pieces for Business Owners who are struggling with Microeconomic forecasting. Jason can help. 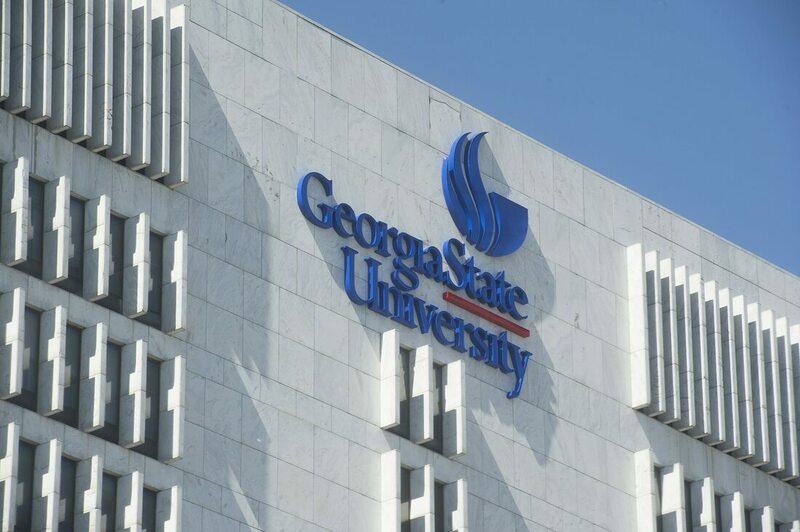 He studied and helped bring up the reputation of the Business and Economics Departments at Georgia State University, his former palace of dreams and aspirations. Jason was featured on both of the 'Next to Rise' Louisiana and New York Mixtapes as a Christian Artist. Jason's songs do not have explicit lyrics. Please enjoy Jason's 'I Been Changed' Gospel Medley as the first song on the album. Jason's song 'Rhythm to the Beat of Jesus' was also featured on another 'Next to Rise' Mixtape. Please listen to each song at the site below after you click the "Next to Rise Mixtape' button! Feel the BEAT! Jason Brye was featured on the New York City's 'Joe Cozzo Show.' Jason debated with the foul mouth atheist in defense of the Gospel and for Jesus Christ! Jason knows that an atheist is not receptive to the Gospel; yet, Jason held his ground in spite of biased criticism. Jason's music has resonated in souls across the world; therefore, it is very influential. Please listen to the controversial interview below and understand Jason's stance against an uncontrollable atheist. 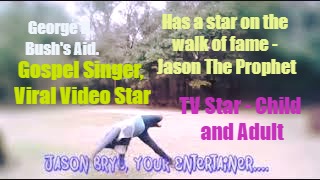 Jason Brye is a Christian Singer, Actor and Performer who also helps others with marketing, music production of any genre, EPK creation, performance reel creation, branding, promotions and web ad production. 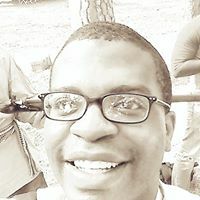 He attended Jackson State University and Georgia State University for Undergraduate Studies in Economics with an English minor. Jason has been a freelance professional for some years now. He is also creator of www.DiscipleforCHRIST.org and www.CatchGigs.Space. These sites have collectively generated tens of thousands of views, and both are reaching the million visitors mark. Jason works as a Digital Marketer and is currently working with Business Owners, Artists and other Clients as a Marketing Guru. Jason works as an Independent Contractor with a California-based Tech Firm and he helps suggest changes for Facebook Ads and Android user advertisements. Speak with Jason so that you may increase exposure in regards to digital marketing. You may email Jason directly at: JasonBrye.com@Gmail.com. JasonBrye.com is hiring! If you are an advertising genius, please feel free to contact us through email at: CatchGigs.Space@Gmail.com. Please visit the 'Employment Tab' to learn about current opportunities for Advertising Consultants, Actors, Musicians, Singers and Brand Ambassadors. We're also looking for unpaid student interns! Please send us a note if you are looking to gain experience working for an international company! Do you need web ads? Do you need help creating marketing video ads for Facebook, YouTube and any other outlets? Then you've come to the right place. Please feel free to visit the 'marketing tab' on this site to learn how you can increase traffic and business in regards to your respective ventures. 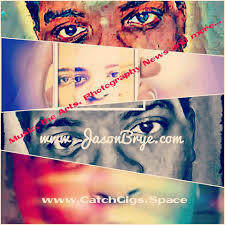 Jason Brye has worked on 2 viral videos, national commercials, music videos, web series and so much more. Jason also worked as an Ambassador for events featuring Coca-Cola, Wal-Mart, Boost Mobile, the Los Angeles Millionaires Real Estate Convention and the Houston Grand Prix. Moreover, Jason has attended many high profile events such as the Grammy Awards, BET Awards and has worked on Hollywood studio lots, such as: Warner Bros., Sony Pictures Entertainment, Paramount, Hollywood Center Studios, Fox, CBS-Radford, ABC-Disney and more. Jason was also invited to the BET Celebration of Gospel and the Soul Train Awards on numerous occasions. He understands the need to reach for the stars when in business or when venturing into a new endeavor. He can help you. The Jack of many trades has also worked as a Brand Ambassador Manager with a Los Angeles-promo agency. Jason managed promotions and supervised employees while working in Panama City, Florida; Pensacola, Florida and Daphne, Alabama. He worked with this agency in Houston, Texas as well. Jason is accustomed to working with clients from various backgrounds. He is an Actor who has appeared in productions which have reached millions across the globe. He can help you with marketing services, reels, promotions and web ads so that you may have the potential to gain momentum as it pertains to your venture. Jason majored in Economics and minored in English at Georgia State University. At the Atlanta university, Jason also worked on ads for Underground Atlanta and more while partnering with GSTV and the Digital Aquarium. He also produces music, so feel free to leave a comment on the comment page to learn more. Let's work together! 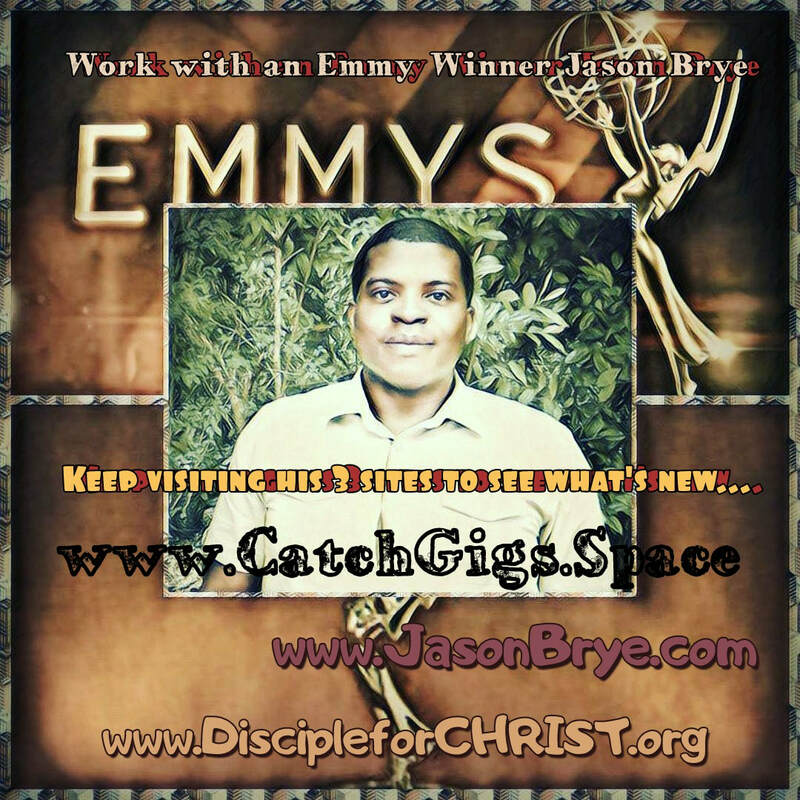 Jason Brye also created the DiscipleforCHRIST Film and TV Ministry which brings Christian Entertainment to the online arena. Please 'like' Jason's Christian Entertainment and Christian Public Figure pages below. 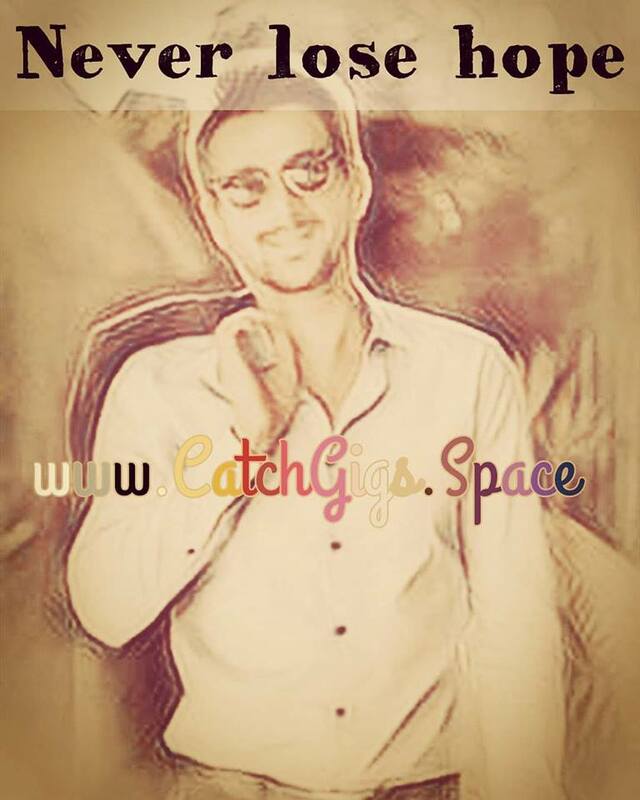 There is also a CatchGigs.Space Facebook Page. Just click the buttons below! Please 'like' all three pages! Also after visiting each Facebook page, please view Jason's pictures below. 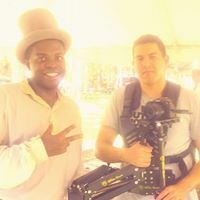 The pic below is of Jason Brye working a major video shoot at Atlanta-Hartsfield Jackson Airport. Jason was given a featured part cause of his Emmy holdings. Jason Brye has worked so many sets, it's hard to keep up with the number. Jason Brye had done so many roles that they won't fit on his resume. Keep staying connected to see Jason do more. Jason is featured below working hit show 'NCIS: New Orleans.' 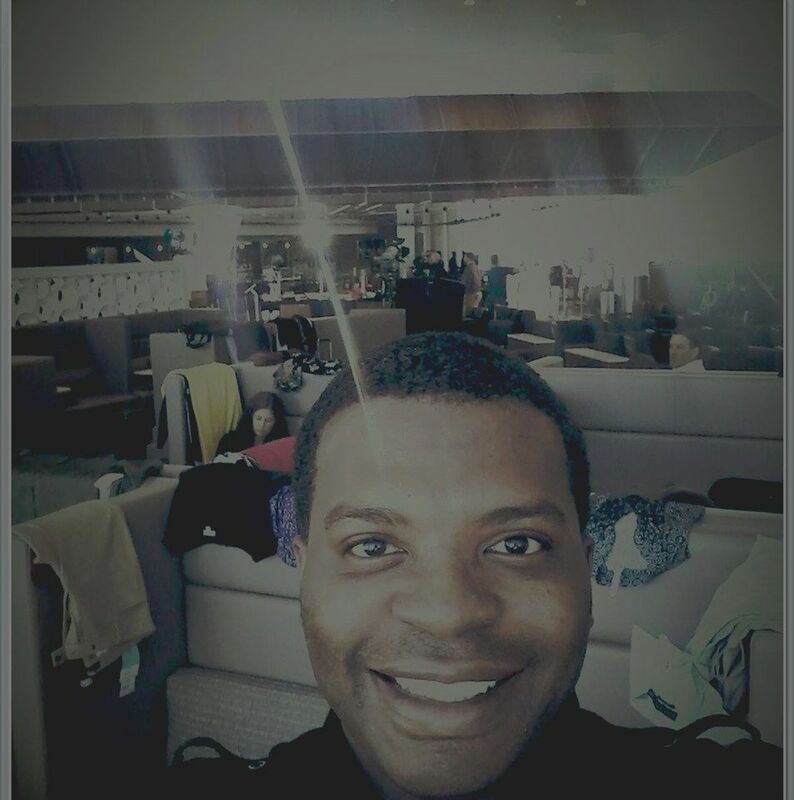 He was in between scenes and took this photo at a prominent hotel where the show was being filmed. Jason has had featured roles on the show. Jason would love to do bigger scenes or just work on Music and see how 'easy it is' to get a Grammy. 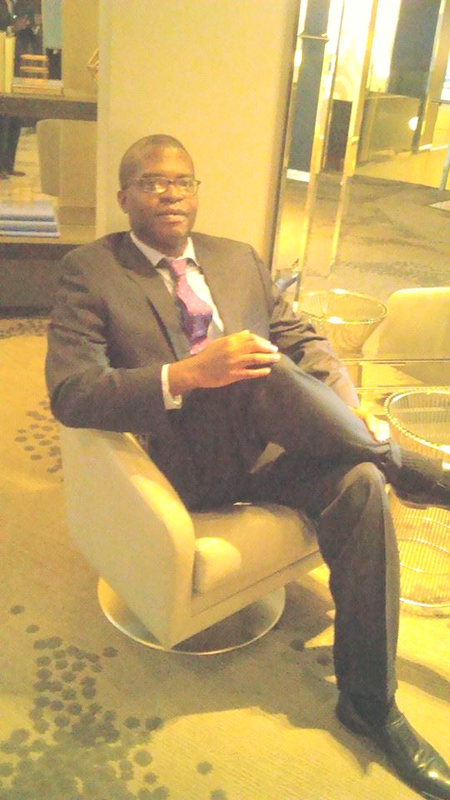 This is Jason working the 'Change Management Conference' at the Hyatt Regency New Orleans. Do you need a promoter? Do you need web sales help? Do you need marketing assistance? JasonBrye.com is the company that will help you succeed! Jason Brye was hounded in regards to giving a brief introduction at the Conference. Jason received a standing ovation. He can deliver a powerful punch as a Business Consultant or Orator. 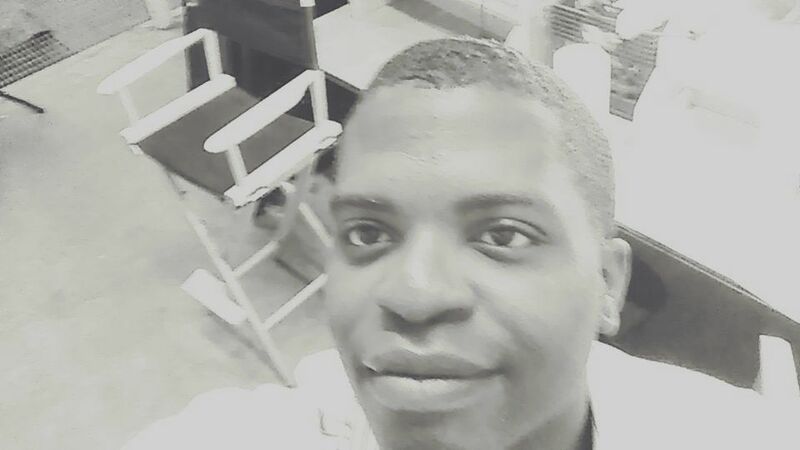 In the pic below, Jason is relaxing in the makeup department for a major network TV show filmed in New Orleans. Jason was working VH1's 'Daytime Divas' or 'Queen Sugar,' one of the black shows out there. Who can keep up? Jason giggles. He has done so many shoots, some of the smaller ones seem to get mixed up in Jason's thoughts. Jason enjoyed himself on both shows. As the 'Hollywoodland' Director yells, Jason loves to utter the following infamous Director's call: sound speed, rolling sound, last looks, background and ACTION! George H. Bush, Jason's long time Agent, fought for him to get a Student Oscar while attending Georgia State University! Did he get it? Of course, we're not spilling all of the beans. Sometimes, these awards are secrets cause of jealousy and 'public outcries of low self-esteem.' We'll see in the future. Jason has been nominated for many Awards, including BET Awards. Jason Brye created gift certificates as a result of success. He'd love to keep running JasonBrye.com and allow for others to taste success too. These gift certificates could be used to buy JasonBrye.com Services, Music and more. Please purchase one! 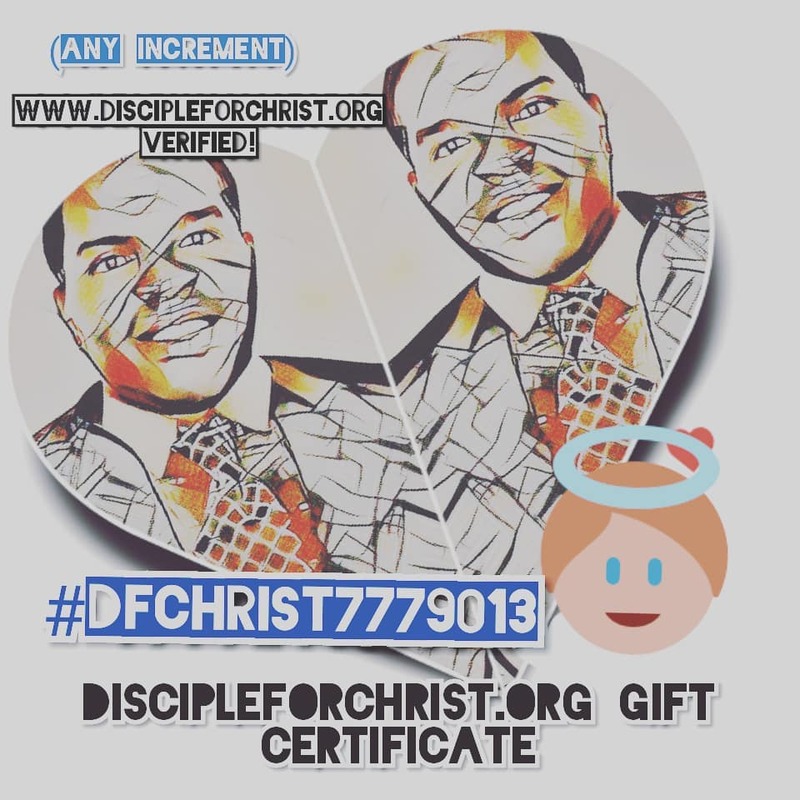 Please purchase a JasonBrye.com and DiscipleforCHRIST.org Gift Certificate with any increment. Call now: 504-323-4123. The JasonBrye.com Gift Certificate can be used interchangeably at any of our sites. And please review Jason's Grant Letter for his Christian Outreach at DiscipleforCHRIST.org. You may also see what's new in regards to the coming of Jesus Christ, Entertainment, Christian News, Business News and more at the site. Click the button below to be taken there! Please note: 'Mobile Device Users,' please click the 'bars/lines' at the top of the page to view all pages of our site! You can then go to each page and see all kinds of great tools for you! Please support Jason Brye in his new musical endeavors for Spring and Summer 2019. Please purchase singles for only a BUCK A PIECE. Use Pay Pal and send an email or inquiry to JasonBrye@Hotmail.com. To use Cash App, Debit or Credit Cards, please email: JasonBrye.com@Gmail.com. Or call/text: 504-323-4123. 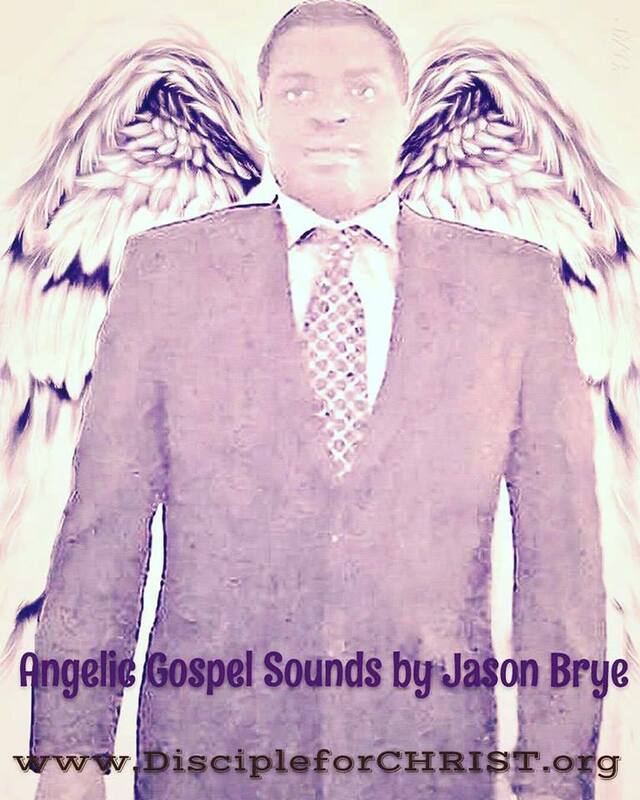 Please listen to Jason Brye's Music on Soundcloud. Don't forget Jason Brye has music for sell. Check the 'New Music Tab' on our site for purchasing instructions. Please visit the 'Dance Fitness' link here. Watch Jason's Dance Videos and exercise to his original music. Jason Brye helped Popular Music Artist Aaliyah write songs while on the phone. Jason was sent a payment from a record label after Aaliyah's death. Please allow for JasonBrye.com to better assist you. What's the demographic? Who is the voice? Are you a Business Owner? Music Lover? 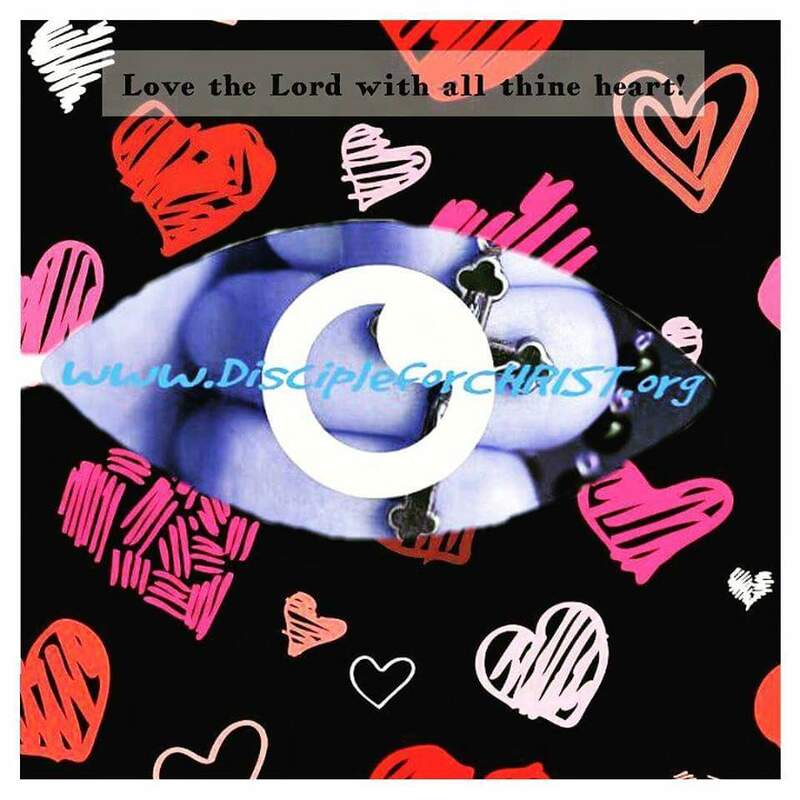 Love Christian, Ethical Businesses? We want to know you so that we may better serve you. We've got blogs, videos, games, Business Services, music and more at Jason's Multimedia Site.